William Hill Bookmaker Review 2019 - is William Hill right for you? 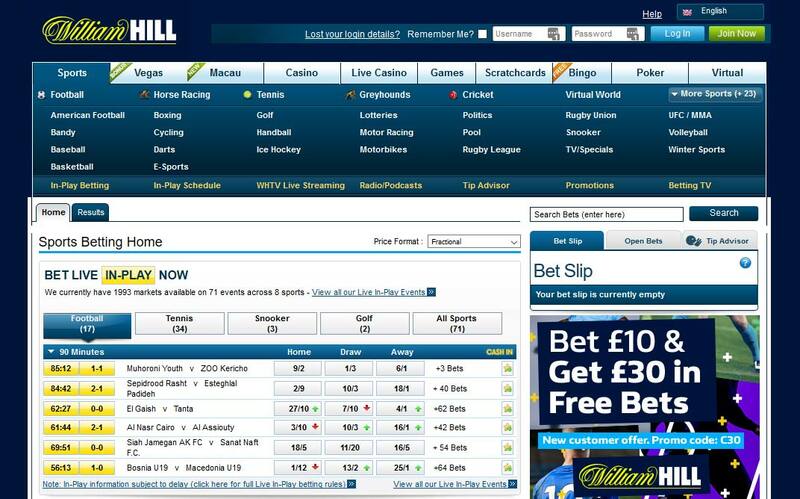 William Hill is one of the biggest and oldest bookmakers in the world. But does biggest necessarily mean best? Here we assess William Hill’s strengths and weaknesses in detail. William Hill (or just “Will Hill”, as it’s often called) is arguably the single most recognized bookmaker in the world. It has over 2 million customers with active accounts across the globe. 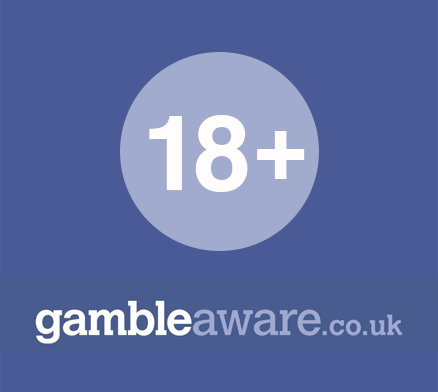 It’s the largest bookmaker in the UK, with more than 2,370 licensed betting shops. It has also recently emerged as the largest single operator in the United States, with over 100 betting shops in Nevada – the only US state where betting shops are legal – and has expanded into Australia.The company is part of the FTSE 100, and employs over 17,000 people in nine countries. William Hill is very strong financially. Its turnover for 2014 was a whopping £1,609.3 million, with profits after tax reported as £233.90. The introduction of a 15% betting tax by the UK government in December 2014 hit William Hill hard, but overall the company is about as stable, well-established and reliable as it’s possible for a bookmaker to be. William Hill is registered in the British overseas territory of Gibraltar, where it’s regulated by the Gibraltar Gambling Commissioner. It’s also a member of the Independent Betting Adjudication Service (IBAS), which adjudicates in cases of betting disputes between bookmakers and their customers. This provides some protection for punters. William Hill provides average to slightly above average odds. Although it doesn’t top the list of best-value bookmakers, it provides attractive prices especially for handicap horse racing in the UK and Ireland. Also, its profit margin for basketball betting is unusually low, meaning that odds for basketball markets are also likely to be good value. A point worth noting is that William Hill changes its odds less frequently than most of the other large bookmakers. This means it’s sometimes possible to find the best odds on the market with William Hill, after other bookies have all lowered their original odds for a selection. William Hill is offering new customers a Bet £10, Get £20 deal. Sign up for an account using the promotional code F20, place a bet of at least £10 at odds of 1.2 (1/5) or greater, and you'll be awarded a risk free bet. A notable special offered by William Hill is its football Bore Draw insurance,which refunds correct score bets on games that end with a 0-0 result (but note that the refunds are paid in the form of risk free bets). William Hill also offers limited availability priority prices on big events and best odds guaranteed on horse and greyhound racing, ensuring that you’re always paid out at the starting price (SP) if this is higher than the price you selected. William Hill’s event-specific promotions aren’t quite as frequent or as significant as those offered by some of its competitors but can still provide good value. The William Hill website offers a huge and sometimes bewildering range of sports markets, games, news, previews, promotions and options. The interface is cluttered, with many elements competing for attention. However, the site is fast and well thought out once you get used to navigating and ignoring (or not) the colourful ads for William Hill’s gaming products. William Hill's horse racing coverage is second to none. As well as covering UK and Irish racing, the bookmaker publishes racecards for all major US and Canadian meetings and offers early prices on South African and French racing. William Hill also provides extensive coverage of football. It claims to offer bets on 567 different football leagues and competitions worldwide each year, and features a superb range of in-play markets, including up to 200 different markets on major football matches. 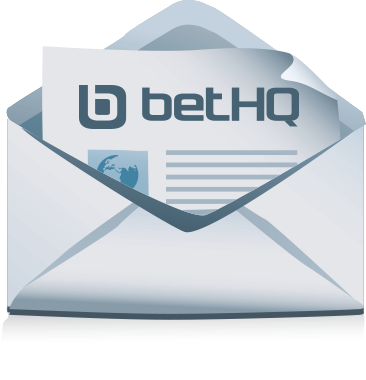 The betting slip on the site is clear and easy to use. It shows your total stake and estimated returns, and makes adding multiples easy. You can toggle between the bet slip and a list of your open bets. The account management section of the site provides all the usual options and makes it easy to set preferences, view your history and deposit or withdraw funds. WHTV live streaming is a free service for William Hill account holders. You simply need to be logged in and have a positive account balance or have placed a bet in the last 24 hours to watch live broadcasts of top sports events, alongside William Hill’s latest in-play prices. Hundreds of events in a wide range of sports are covered. However, UK competitive football matches are available only outside the UK. 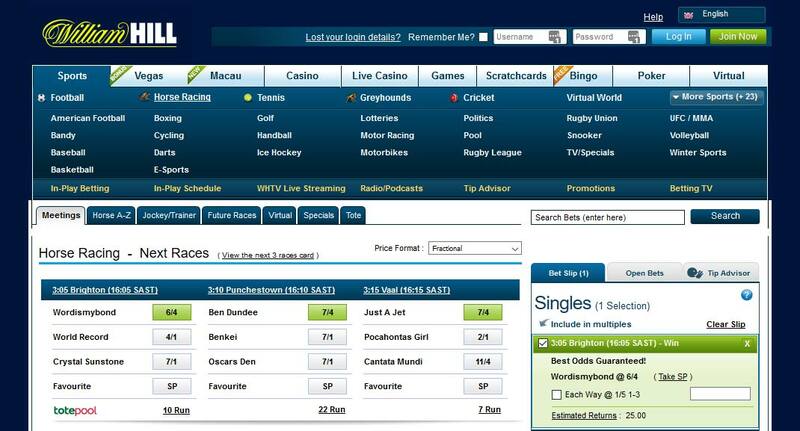 William Hill has three online radio channels – Racing Radio, In-Play Radio and Betting Shop Radio. You can access these via the William Hill web site or mobile applications. The racing channel has been established for over a decade and is both informative and entertaining, with irreverent banter, informed analysis and trackside commentary. The stations also provide numerous podcasts and videos. Visit our William Hill radio page for more details. William Hill has recently introduced an integrated tipping feature that enables you to share tips with other punters and follow ones that you choose. However, the system doesn’t provide enough information about “tipsters” for anyone to ascertain exactly how successful they are – it includes only comments and a number of “successful tips”, without any win percentages or cash values. Although punters seem to be using the system, to us it adds clutter to an already cluttered interface, without adding a lot of value. It’s appropriate that William Hill was named “mobile operator of the year” by the eGaming Review industry awards. The bookmaker has excellent mobile sports betting apps for iPhone, iPad and Android. The apps include every market featured on the company’s website, including in-play markets. They also allow easy account management and provide live scores for events in a wide range of sports. Unlike William Hill’s website, the apps are clean and clear, with few distractions. William Hill also provides great apps for casino games, financial betting and virtual football and racing. The company’s “Shake A Bet” app selects bets for you, based on how much you want to place and win. Arguably, this turns sports betting into a lottery and is unlikely to interest more serious punters. William Hill has an excellent customer support system, with support available in English, German, Spanish, Italian, French, Chinese, and Greek, 24 hours a day, 7 days a week. You can contact William Hill via live chat (with a claimed average wait time of only 11 seconds), e-mail, phone or a web form. We’ve found William Hill representatives to be helpful and able to resolve most queries quickly and professionally. Deposits and withdrawals are also efficient, and William Hill supports all the usual payment options, including credit card, PayPal, Skrill and NETELLER. If you want an account with an established, trustworthy bookmaker, look no further than William Hill.